Many men and women like to trim at least part if not all of their bikini zone. Try trimming pubic hair with some of the most basic tools or use one of the powered gadgets. Trimming is a good option for maintenance "down there" because there isn't as much upkeep, and there's a smaller chance of side effects compared to shaving or getting a wax. There's no razor burn, less chance of ingrown hair, and definitely no waxing pain. Get groomed without shaving yourself bare and avoid the side effects that the razor can bring. This is about as basic as it gets for those who are on a super tight budget or are in need of some grooming on the double. Most everyone has at least a pair of decent scissors and a comb at home. If you have regular hair clippers around the house, they can probably work for trimming. Although they can technically shave hair totally down if you don't use a guard, that's not recommended. Regular hair clippers without a guard give just too rough of a shave in the bikini zone. Even though they're larger, weightier, and bulkier than trimmers especially made for intimate grooming, they're great for getting the hair to your one preferred length in about a minute or so. Want to shave your bikini line and trim the rest? You can while you shower and with just one tool. One side is Schick’s four-blade razor with conditioning strips, and the other side a waterproof, battery-operated trimmer that adjusts to three different lengths. Perfect for the bikini area, the trimmer is very narrow for easy guiding. 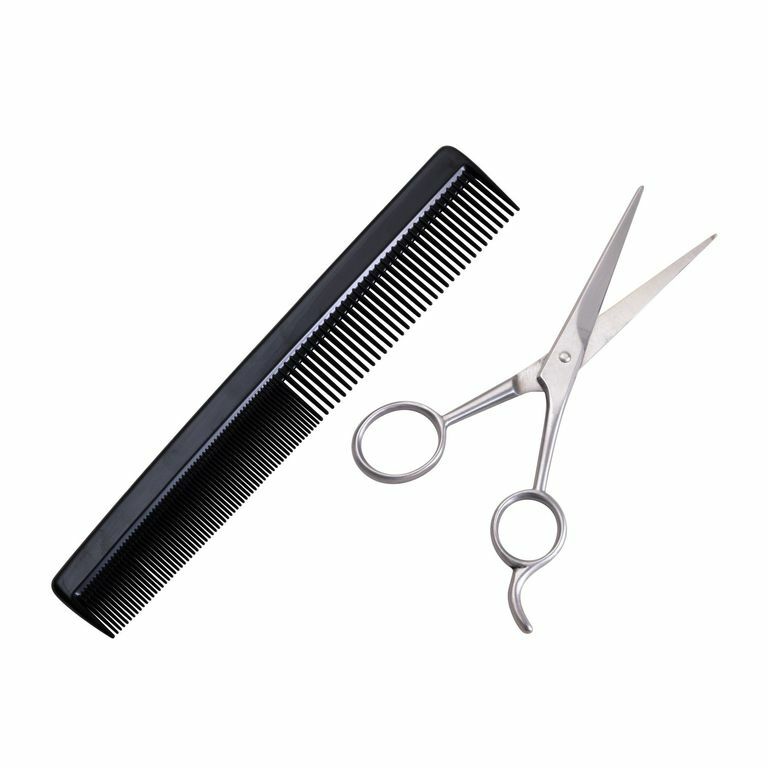 Although Schick Quattro Trim Style doesn’t have the most powerful blades for trimming, it does the job at an affordable price. A girl likes to have some options. Some days you want to trim, other times shave, and every now and then, pull it out from the root for longer lasting smoothness. Sometimes, maybe you want a combination of all in your bikini zone. This is a manual affordable trimmer made for the bikini zone by Gillette. It's powered by you, so no batteries are required. The downside is that the trimmer is not adjustable, meaning you can only get one length out it. It works by just swiping it over the hair and provides a pretty smooth trim fairly quickly. If the hair is long, you would need to go over the hair a couple of times.